I started the regimen in September & its now November. 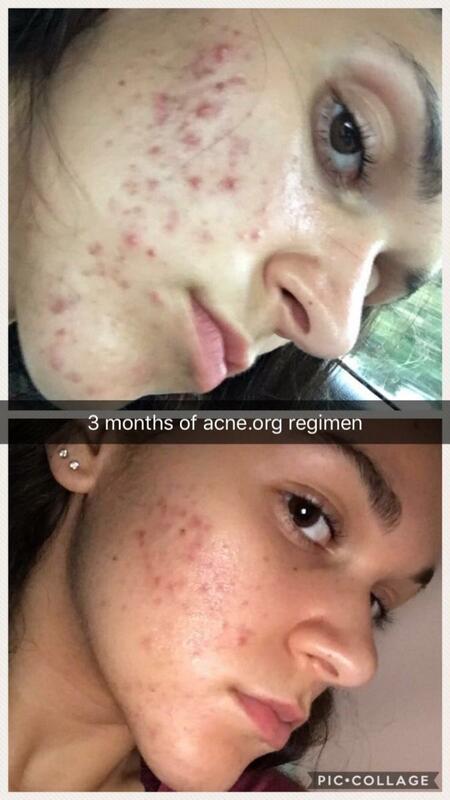 As you can see, the reigmen got rid of pretty much all of my active acne in only 3 months. I also drink a little less than a gallon of water a day and follow a vegan diet. It also healed up some scars on my chin as well, but there are still alot of hyperpigmented, inflamed scars on my cheeks and chin (my forehead hasnt been a problem area). I was also taking the supplement called Herpnanicine that is supposed to aid in skin healing in combintation with the regimen.